The Merlet family have a wealth of experience behind them, being cognac distillers for merchant houses since 1850. Across their own vineyards in the Fins Bois and Borderies there is 100 acres of flavoursome grapes with further partners across the Cognac region to add to the bountiful harvests. 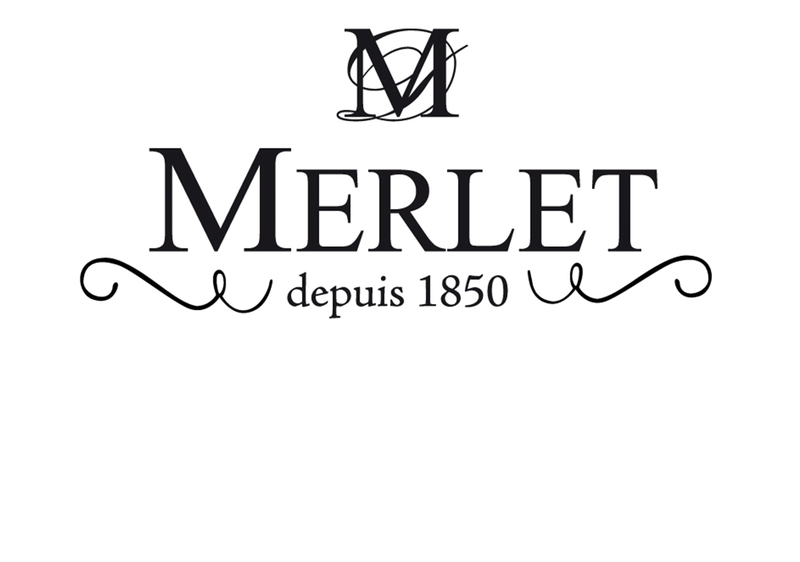 The Merlet family have a wealth of experience behind them, being cognac distillers for merchant houses since 1850. Across their own vineyards in the Fins Bois and Borderies there is 100 acres of flavoursome grapes with further partners across the Cognac region to add to the bountiful harvests. It wasn’t until 2010, however, that Merlet finally decided to bottle cognac under their own name. With a rich knowledge of the spirit, they created a unique cognac style which is both sublimely fruity and elegant. As the 1970s drew to a close Gilles Merlet took a decisive step for his family business, experimenting with a new cultivation by planting blackcurrant bushes. By 1981 he could proudly hold the first bottle of liqueur – their Crème de Cassis de Saintonge. Today, as the range has expanded exponentially, the Merlets still grow their own blackcurrants and work with exclusive farmers to source their other fruits. These fresh fruits macerate in neutral spirit giving over their vibrant flavours which are then harnessed by the family’s maceration and filtration artisanal techniques. Merlet Apricot Brandy 25% ABV – Smooth and lively with notes of dried apricot, ripe peach and honeysuckle. Merlet Cherry Brandy 24% ABV – Sweet and sour cherries, rich and creamy, tart acidity and faint cognac notes. Merlet Creme De Cassis 20% ABV – Concentrated and fruity with enough sour fruit to balance the liqueur sweetness. Cassis jam, floral honey and a hint of menthol mint and ginger. Merlet Creme De Fraise 18% ABV – Rich and avocative, strawberry jelly balanced by acidity. Merlet Creme De Framboise 18% ABV – Intense wild-strawberry with balanced notes of citrus, strawberry jelly with over ripe strawberry coulis. Merlet Creme De Mure 18% ABV – Rich blackberry compote, soft and fruity, sweet with a full body and a soft spice finish. Merlet Creme De Peche 18% ABV – Jammy, peach sweets with almond and orange zest, mango-peach sorbet, and pink peppercorn finish. Merlet Creme De Poire 18% ABV – Bursting with juiceiness. Fresh pear flesh, green apple and pear drops. Merlet Trois Citrus 40% ABV – Sweet tangerine orange skin with hints of lemon, black pepper and citrus acidity.